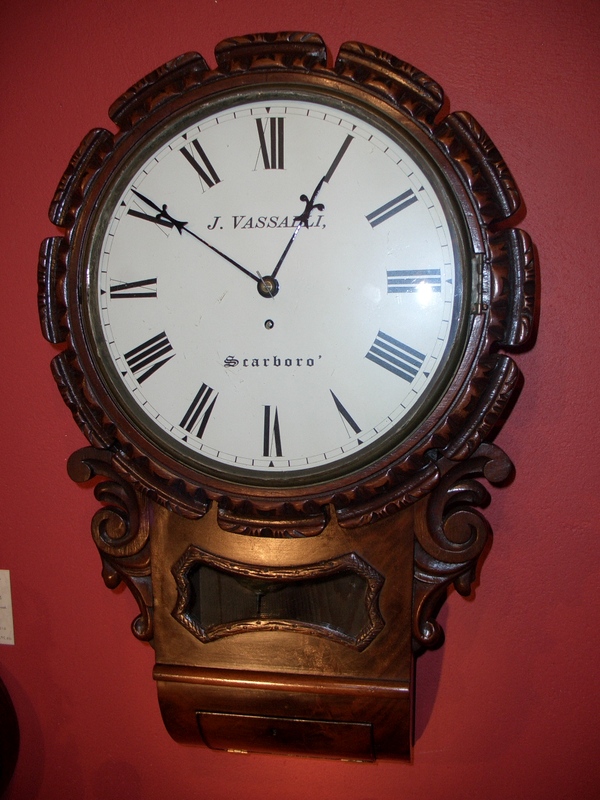 Drop dial Fusee wall clock by “Vassalli of Scarborough”. Carved mahogany case with framed glazed panel to front and hinged door to bottom. 12″ painted dial with Roman numerals and fine decorative hands. Jerome Vassalli was a clock and barometer maker who moved from Switzerland to Merchants Row in Scarborough, Yorkshire and where he was married in 1821. Listed as a clockmaker in Scarborough from 1841 to 1858. Fully restored with one years guarantee. German made walnut cased twin weight Vienna regulator wall clock. 8 day movement striking on a spiral gong for the hour and half hour. Fully restored with one years guarantee. Ref: g1820.